This is the night: New Brighton’s moment in the limelight. For this one evening, once a year, the city comes to our humble suburb to watch a vast amount of money be transferred into sparkles and twinkles and booms off the end of the pier. People flood into this place we call home in their thousands, in their tens of thousands to watch the fireworks extravaganza. Our bars and eateries coin it in big-time. The restaurant Salt on the Pier is booked out ages in advance, and our community cannily hosts a twilight market. People pack the beach; families with picnics, shrieking groups of school friends, Rest Home residents ferried in fleets of minivans, and everything in between. They’re all here. All except (for the most part) us residents. We’re at home, because we know to our cost that an empty house is an open invitation on this night when everyone is down at the beach. Tonight, it’s coffee and biscuits in the goat paddock; imported Hob Nobs, to be precise. Call it a nod to the origin of the tradition; one that really makes very little sense to us in New Zealand in 2014. But we try not to get too bent out of shape. For one night a year we let the city loose in our place while we hunker down , our community coffers get a nice little boost and our cafes and restaurants make up for that rainy July evening when they only got one table of two in, and then they opted for the blackboard special and the cheesecake with two spoons. It’s not a bad trade off. Besides the view’s not that bad from the goat paddock. This entry was posted in community, Goats, Union Homestead and tagged Aotearoa, Christchurch, Community, economy, fireworks, goats, Guy Fawkes, HobNobs, Homestead, Homesteader, homesteading, NaBloPoMo, New Brighton, New Brighton Fireworks, New Zealand, Otautahi, society. Bookmark the permalink. Poor Leia…not one Hob Nob??? Far better in your own back yard, anyway…it’s not fun being jostled and stepped on and having nowhere safe to put down your coffee cup. The goats probably appreciate the company too. Our dog used to hate fireworks at Hallowe’en and on Canada Day – she’d climb in the bathtub, or get stuck under someone’s bed – anything to hide from the noise. If we were home, she’d lean against one of us for the whole duration, quivering. 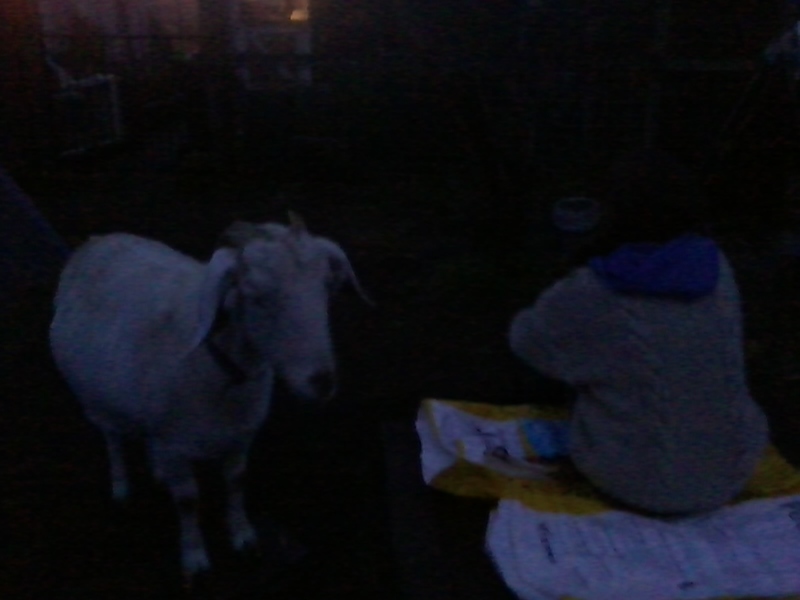 I suspect goats are made of sterner stuff, but still, people in the backyard with biscuits after bedtime must be a pleasant treat. Guy Fawkes Day doesn’t happen in Canada – maybe the odd recent British immigrant has a bonfire, but the rest of us don’t do it at all, and kids barely learn about the almost thing that never happened to the Houses of Parliament by a fellow who may or may not actually have been the brains behind the idea anyway. All that said, I’ve just remembered that our younger daughter hosted a Guy Fawkes bonfire last November for her friends – I think they did it on a different day, and there were no fireworks, but they did burn my pile of bramble cuttings and scrap wood for me, and roasted sausages and marshmallows. And because she’s the sort of person who just knows things, she had to explain to her friends all about Guy Fawkes, because of his almost non-appearance in Canadian school text books. The biggest issue here, besides the multitude of lost pets after the event (the goats were better this year, last year both Nessie and Leia stuck their heads up our jackets and whimpered – but then it was a nicer evening so there were more people letting their own stash off), is fires. This year everything was dampened by a couple of days drizzle. Usually the fire brigade gets a massive workout…It’s not really the weather for bonfires. 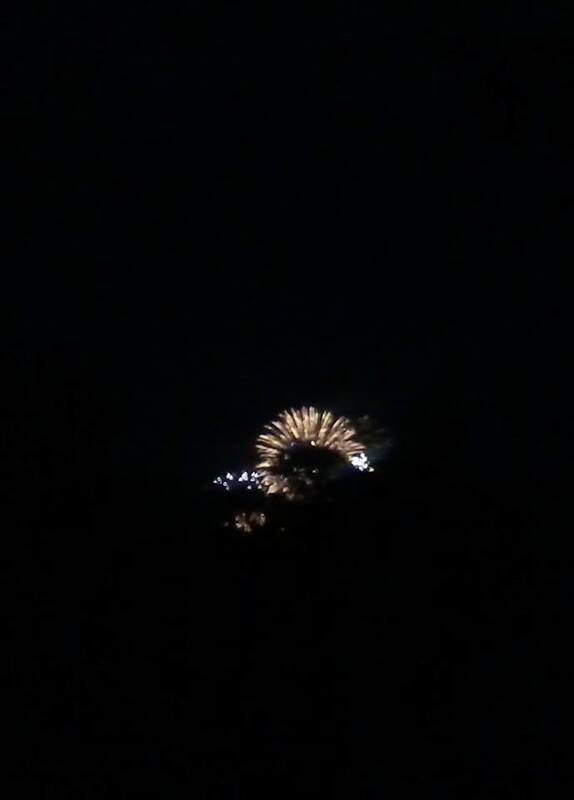 I think that it’s lovely that a British traditional event takes place on the other side of the world, fireworks are going off locally as I write. We’ve just been out to enjoy our local fireworks but it never occurred to me they would be anywhere but Britain for Bonfire Night. Does seem a bit odd! Unbelievable… Still, I guess people like to find reasons for celebration. After all, we had diwali very recently, too!